I've created more than 80 custom sand animations for corporate and private clients. 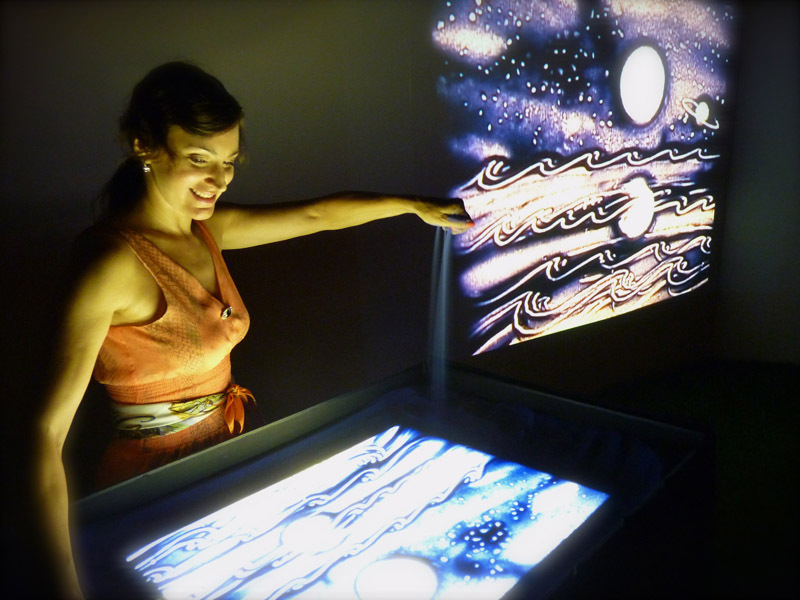 I use a light box, sand, and my hands to create emotional stories synched to a musical soundscape, which are projected large screen for live audiences to experience. I've done animations for Cirque du Soleil, MTV News, Travel & Leisure, Doodle 4 Google, Samsung, TBS Network and many more. I've performed at amazing venues, like Caesar's Colosseum in Las Vegas, The Fillmore in Philly, The Smithsonian in D.C. and Jazz at Lincoln Center, here at home in NYC. I've traveled to international locations, like Hong Kong, Amsterdam, Playa Del Carmen, Montréal and all over the USA. I've performed at events featuring: Jordin Sparks, Brené Brown, John Mayer, Wynton Marsalis and The Roots. It's been a very exciting journey and I'm really looking forward to sharing more here with you. I've re-posted some of the best blogs from my old website, and will continue posting new things here too. So... Stay Tuned! Thanks for visiting. I look forward to creating a custom animation for you. Watch my sand art VIDEOS!